As NewsBusters reported last Wednesday, The Weather Channel founder John Coleman published an op-ed at ICECAP in which he called "global warming the greatest scam in history." Although this was prominently featured at the Drudge Report for almost 36 hours, the major television news media completely ignored Coleman's words with the exception of CNN and Fox News. Really taking the lead on this matter was CNN Headline News's Glenn Beck who invited Coleman on his program Monday evening to discuss what led him to write this article, and to elaborate on the global warming myth. [On why so many scientists are afraid to voice skepticism about global warming] Glenn, you`ve got to make a living, first of all. So you spent 10 years becoming a PhD in meteorology, you got a research job. And you decide you`re going to research the effect of human activity on global climate. And if you were to put out a research report that said not much and it doesn`t seem too bad, you`ve probably wasted all your 10 years. [W]hen I looked at the hockey stick graph that was produced in Mann’s original report and it showed a steady line temperature through the millenniums and then a sudden rise global, I knew that that was incorrect. I knew it couldn`t possibly be. And I started asking experts about it and I started digging into how that was produced, and I found out it was bogus science. It wasn`t real. The numbers had been massaged. The whole thing had been created. What bothered me was that the other scientists had accepted it. Well, why did they possibly do that? And I think the real answer to that question is that they all have an agenda, an environmental and political agenda that says let`s pile on here, we`re all going to make a lot of money, we`re going to get research grants, we`re going to get awards, we`re going to become famous. And I guess that`s what happened. But in 20 years, we`ll have the last laugh. But of course, billions of dollars will have been spent. Policy will have been changed worldwide. People will have been scared. We will have reacted to a myth. But nonetheless, eventually we`ll realize that there is no global warming of significance and we`ll have the last laugh. Now, there are scientists speaking out. There are hundreds of them speaking out. There are thousands who signed a petition, 19,000 on a petition against global warming. There are many scientists speaking out. But the mainstream press is totally ignoring them. The mainstream press has totally climbed the board and is marching along. Amazing stuff, wouldn't agree? Any questions as to why none of the broadcast networks have interviewed Coleman concerning his views on this matter, not even "Good Morning America" which he used to be on? That said, kudos go out to CNN Headline News and Beck for continuing to have the courage to lead on this issue. In fact, readers should be advised that Glenn will be focusing on global warming all week in what he calls"An Inconvenient Segment." 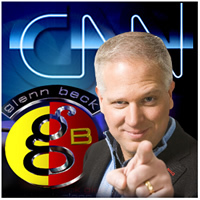 GLENN BECK, HOST: Well, full disclosure, this is a shameless plug here. I`ve got a new book coming out next week called "An Inconvenient Book: Real Solutions to the World`s Biggest Problems." And today I`m going to give you a preview of chapter one, called "Global Warming: Storming and Conforming." I wrote this chapter basically as kryptonite for you to use against your Gore-worshiping psycho friends. The next time they tell you how global warming causes all sorts of massive natural disasters, you say, really? That`s interesting because I heard somewhere, I`m trying to remember, that deaths per year from extreme weather are down 95 percent since the 1920s. Sure, you`ll be unhip and friendless, but at least you`ll be accurate. Anyway, as I put the chapter together, the thing that struck me -- the thing that was more amazing to me than the facts that I was finding was the fact that no one wanted to talk about those facts. If a scientist says that temperatures are up .01 degree, lead story around the country in every newspaper. But when somebody with decades of experience comes out and says global warming is a manufactured crisis, no one cares and you can hear a pin drop. How do I know? Because that is exactly what happened last week when the founder of the Weather Channel wrote an article that began, and I quote, "It is the greatest scam in history. I`m amazed, appalled, and highly offended by it. Global warming; it is a scam." But since that opinion doesn`t fit nicely into the mouth of the media beast, hello NBC, you probably didn`t hear a word about it. Well, now you will. John Coleman is the founder of the Weather Channel. He was also the first weatherman ever on "Good Morning America." And he is currently weather man at KUSI News in San Diego. John, your head about exploded with the NBC thing this week. Is that -- that was the breaking point for you? JOHN COLEMAN, FOUNDER, WEATHER CHANNEL: Well, I`d been listening to all the global warming talk for a long time and posting material about global warming on our Web site. But finally, the crescendo of global warming myth, nonsense, exploded in my head and I had to write a real rant. And that`s the one that got noticed. I put it on our Web site. It was picked up by icecap.us, picked up by Drudge. First thing you knew it was all over the newspapers, all over the radio, all over the TV sets. And I`d created a bit of a stir. And all I was doing was telling you the truth as best I know it. BECK: Why is it that the scientists are all in on this? I mean, so many people are in on the global warming is real and we`ve got to stop it right now. COLEMAN: Glenn, you`ve got to make a living, first of all. So you spent 10 years becoming a PhD in meteorology, you got a research job. And you decide you`re going to research the effect of human activity on global climate. And if you were to put out a research report that said not much and it doesn`t seem too bad, you`ve probably wasted all your 10 years. BECK: John, what was the turning point for you? Because I know you that said that you went in to look for an honest answer, you thought maybe it`s real. What was the thing that stood out and you went, this is absolutely bogus? COLEMAN: Well, when I looked at the hockey stick graph that was produced in Mann's original report and it showed a steady line temperature through the millenniums and then a sudden rise global, I knew that that was incorrect. I knew it couldn`t possibly be. BECK: John, do you think we`re at the point of no return yet? Are we at the point where no scientist will come out -- you`ve said to me on my radio program today that people are afraid in your business to speak out. Can we turn this around, or are we destined for global socialism? COLEMAN: I think that the ship may have left the dock. But in 20 years, we`ll have the last laugh. But of course, billions of dollars will have been spent. Policy will have been changed worldwide. People will have been scared. We will have reacted to a myth. COLEMAN: -- A Nobel Peace Prize. BECK: A Grammy as well. John, thank you very much. Thanks for your courage.